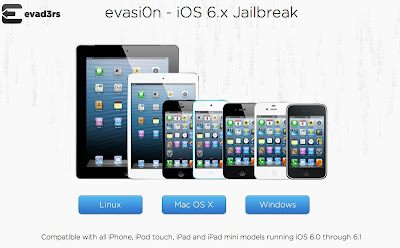 Today the Evad3rs team has released a new version of Evasi0n to allow users to get an untethered jailbreak for firmwares 6.0 - 6.1.2. The jailbreak is compatible with all apple devices including the iPhone 5 and the iPad Mini. Check out the download links and the official Evasi0n site link below.